Daryl Johnson (Worcester Park, United Kingdom) on 17 May 2009 in Architecture and Portfolio. 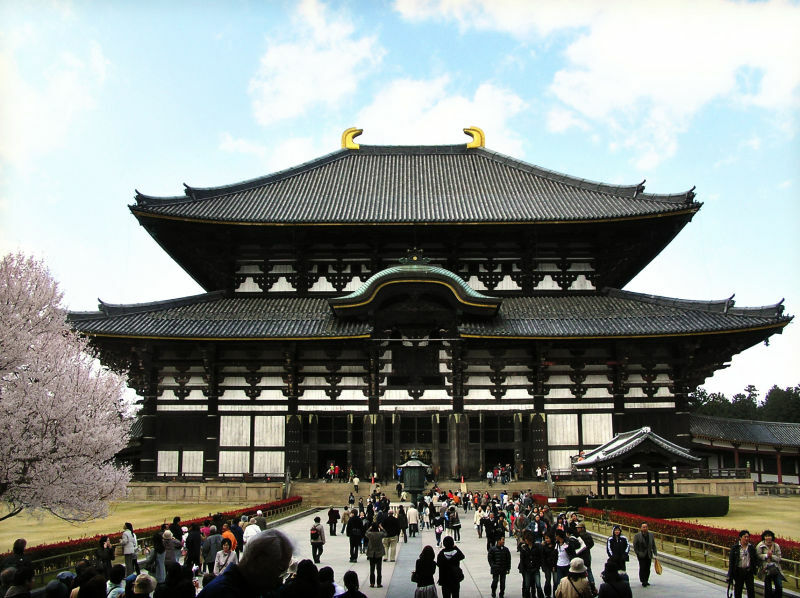 One of Japan's most famous temples, located in Nara. Image superb graphics! A beautiful temple! Architecture so different from ours! It's beautiful! What a superb capture daryl. The structure is amazing! Ain't that grand...beautiful scene, I'm very interested in Japanese temple. Beautiful photo, I love Nara because of the wonderful park with so many world famous temples and shrines at walking distance. @Hoshisato: Thanks Hoshisato. It's such an interesting place isn't it? WOW!!! That structure looks so big and so beautiful. @Ajay: It's very big indeed Ajay! The biggest wooden building in the world or so I've read. I love this place. You've done a great job capturing it. I imagine Steve is right . . this is colossal ! And yet, it is welcoming, too. I like the way you captured the entire place.